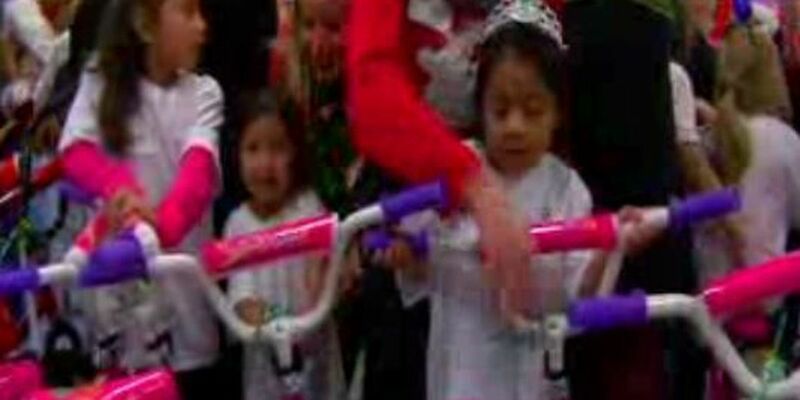 HORRY COUNTY, SC (WMBF) - Christmas came early for 72 local kids Thursday. Kids from Horry and Georgetown counties received gifts from Wyndham Vacation Ownership and Back Pack Buddies. One of Wyndham's core values is to help the community so the company contacted Backpack Buddies. "Backpack uddies agreed to bring 72 children to our office. They sent us the wish lists and we shopped for each individual child," said Wayne Richman, VP of Sales and Marketing, Wyndham Vacation Ownership. Nearly 40 volunteers went shopping for the kids for three-and-a-half hours. "So we were also able to have enough money to purchase 73 bikes. And maybe we can't change their life but you know what, we changed their day today," he added.